After a period of excellent conditions for windsurfing and kiteboarding, we are pleased to announce that this week’s calmer wind allowed our snorkel boats back in to the water to take guests on excursions to explore some of the local reefs. Available spaces on the trips were quickly booked up with the pick of the trips being the excursion to visit 2 snorkeling reefs. Places were quickly booked up and our 2-reef snorkel option proved popular. With the trained and certified guides picking the sites depending on the daily conditions and experience of the snorkellers, Komandoo’s reef is not only one of the favorite sites in the Atoll, but also offers year round sheltered areas to snorkel for all levels. Needless to say, this site was frequented often this week. 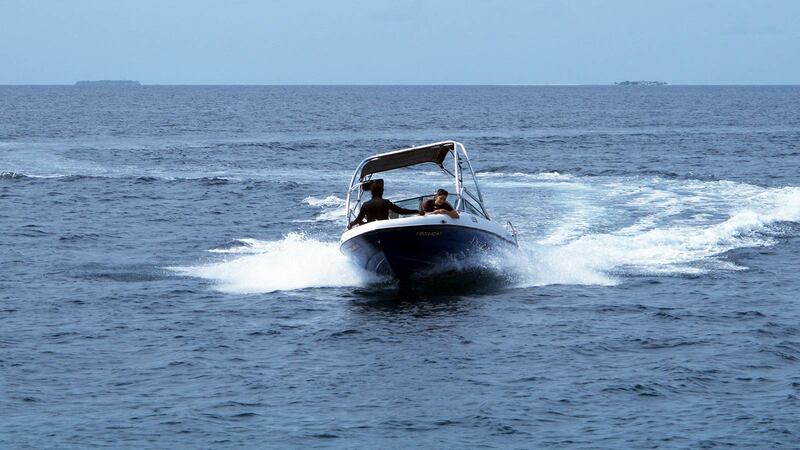 It is a great way to start the day and what better way than to travel by speedboat, enjoying the views of our beautiful atoll. Ocean Watersport is opening at HurawalhiWelcome to the kiteboarding family!